My husband and I had a lengthy discussion about this yesterday on the way to hang out on the Las Vegas Strip with some friends, who happen to be a child free couple. At the hotel pool as we happily splashed with our kids, there were plenty of child free couples laying on the loungers reading or sipping cocktails. It made me wonder, who really is the happier couple? While I’d rather not be woken up in the middle of the night by my daughter’s screams caused by her night terrors, and this morning while both kids emptied everything from my DoTerra lavender oil, band aids, Neosporin, and all the rest of the contents of my first aid bag onto themselves because they were playing doctor. I still wouldn’t trade this life for a million trillion dollars. What are some of your thoughts on this photo? 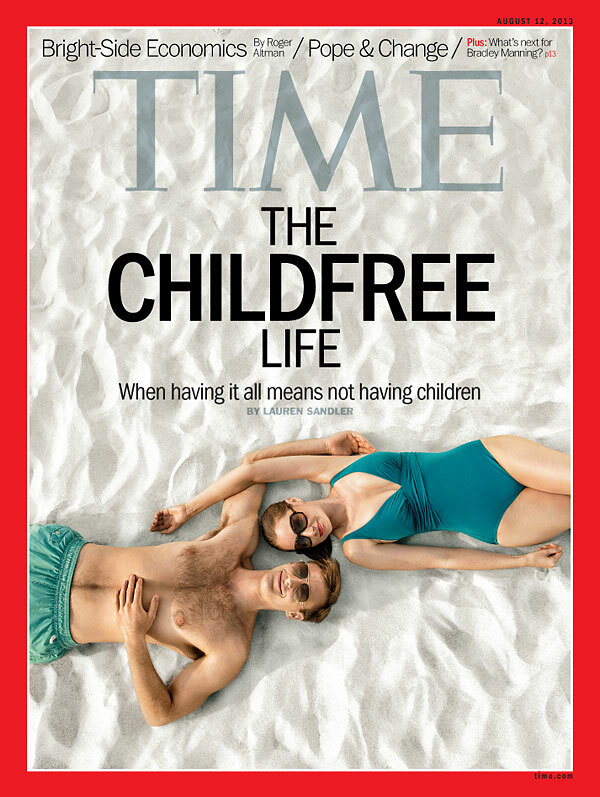 Image • Posted on August 16, 2013 by MamaRupp	• This entry was posted in Uncategorized and tagged Child, controversial, discussion, Free, happiness, happy, Life, Time Magazine Cover. Bookmark the permalink. It depends on one’s opinion of happiness. Some people define it with money or tangible objects, others with love & friends. I think there’s no greater than the love for your child, so i would not be happy in a childless relationship. What happens when couple is old & lonely? Very true. It is all relative in one’s definition of happiness. I am happy to plan a family vacation to Disneyland in the fall, while others are happy to plan adult vacations to the Caribbean.